Yorkshire’s location dictates that they have a number of small derbies each season; admittedly none as big as their clash with the Lancastrian White Rose but still, this clash of two heavyweights is considered a big deal. Whilst the visiting Outlaws linger in the middle of the North Group points table, but with the potential to propel themselves upwards with a few good wins in their upcoming matches, and in with a sniff of being in the important spots, the Yorkshire Vikings are quite the opposite. Coming off the back of three consecutive losses, the Vikings are looking for a win to get their campaign back on track. However, there is big team news from both parties coming into this match as the host team rest seamer Jack Brooks and put in the impressive Matthew Fisher – a young man who secured himself the figures of 5/22 when his team met Derbyshire at home earlier this season. The Vikings will also include Australian heavyweights Aaron Finch and Glenn Maxwell. For the Outlaws, they welcome back Michael Lumb from an arm injury and Harry Gurney from a hamstring niggle. 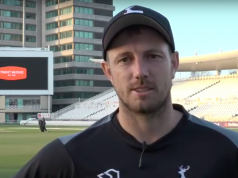 Following the loss of Darren Sammy to the Caribbean Premier League however, the Outlaws have decided to bring their own Australian fire power in the form of all-rounder Dan Christian. Provided the weather stays dry, there should be plenty of drama on show at Headingley on Friday night. It’s all about the Aussies. There are no two ways of looking at it, regardless of the skills demonstrated by the home grown players featuring in this match. The three Australians who come face to face – Dan Christian against Aaron Finch and Glenn Maxwell – have to be shoe-ins for entertainment and contribution. Christian’s signing for Nottinghamshire comes as West Indian Darren Sammy heads over for the Caribbean Premier League and he brings to the table the ability to both bat and bowl. 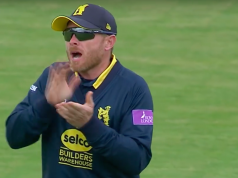 Maxwell offers the same skillset to Yorkshire, who have already reaped the benefits of his spin bowling, although admittedly things haven’t quite clicked for the man affectionately known as Maxi in the batting department just yet. Finch returns to Yorkshire after suffering a hamstring strain during the IPL. For Yorkshire, young seamer Matthew Fisher returns to the squad in place of Jack Brooks who is rested prior to a hectic schedule. Aussie duo Aaron Finch and Glenn Maxwell also feature. Yorkshire Vikings squad: Andrew Gale (c), Jonathan Bairstow (wk), Gary Ballance, Tim Bresnan, Aaron Finch, Matthew Fisher, Ryan Gibson, Jack Leaning, Alex Lees, Glenn Maxwell, James Middlebrook, Steve Patterson, Richard Pyrah, Will Rhodes. For Nottinghamshire, Michael Lumb and Harry Gurney return from injury problems and James Taylor has been released from England duty to play. They also welcome Australian Dan Christian into their side. Weather and conditions: It’s probably fortuitous that Headingley are now in firm possession of floodlights because although the rain should hold off for the evening, it will be overcast with dark clouds.